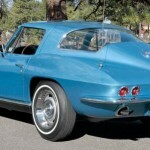 You are here: Home / Featured Corvettes / ’61 Corvette: A True Barn Find! 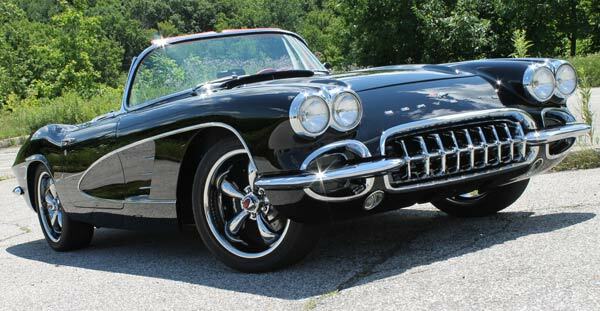 This ’61 Corvette was designed for show and go! 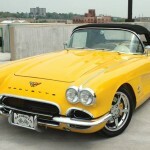 My love affair with classic cars began in the early ’60s when I was in high school. My first restoration project was a long-time family-owned 1962 Impala Super Sport. 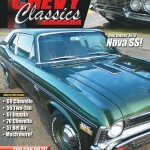 This car was featured in the June 2011 issue of Chevy Classics magazine. After having shown this car for several years and receiving several awards including a Platinum Certificate at the Flagstaff national show, I had a deep desire to restore another car. In the fall of 2011, a good friend of mine, Mike Tolman, heard of a stash of cars in Arco, Idaho. Mike is the owner of Premier Collision Center in Pocatello, ID. He was told of a second generation Camaro RS, so he drove to Arco to find the car. 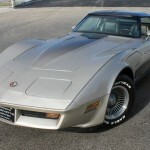 After Mike purchased the 1970 RS and a 1970 SS, the owner asked if he would like to see the rest of his cars. 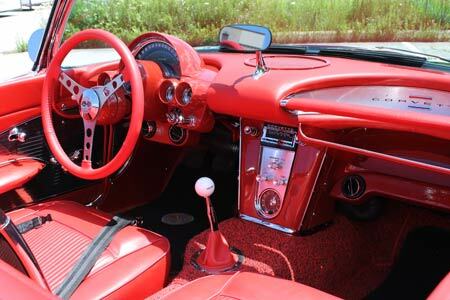 Included was a 1968 Impala Super Sport Convertible, a ’64 Chevelle convertible, and a 1970 Buick convertible. Then he told Mike he had one more. 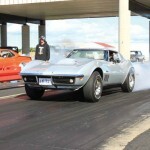 He took Mike into the barn and there sat a ’61 Corvette– a 2×4-barrel carb, 4-speed car. After moving years of stuff piled on and around the car, Mike decided to buy it with the intention of building the car for himself. After a few months, Mike decided to sell the car to a buyer in Australia. I just happened to be in his office and overheard the conversation. After Mike hung up, I told him the car needed to stay in the U.S. and I would buy it– as long as he would build it. Over the next several weeks, the shop tore it all down and found extensive body damage to the front clip. I ordered a new clip from Eckler’s in Florida. 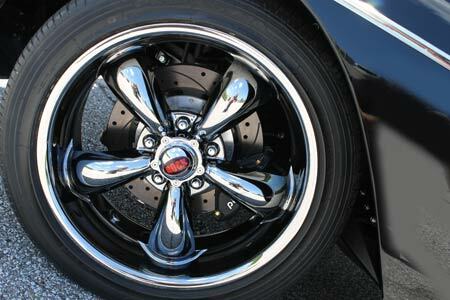 At the same time, we were looking at upgrading to disc brakes, rack and pinion steering and a performance suspension. After comparing the price, we decided to go with an Art Morrison custom frame with all of the upgrades included. That proved to be a great decision as everything fit perfectly with no modification required, and the added the benefits of components from Wilwood, Strange Engineering and Flaming River. I bought a blueprinted 383 small-block and added Hilborn 8 stack electronic fuel-injection, a March pulley system, and a 6-speed T-56 transmission. 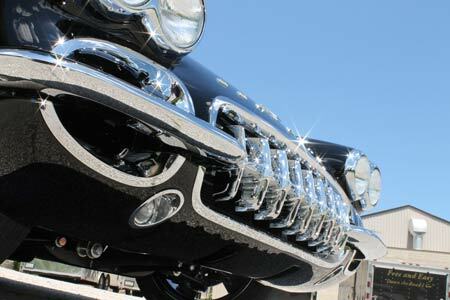 It has a custom-built stainless steel 2-½ inch exhaust system, as well as Vintage Air A/C and heat. I added a red leather interior, seats and door panels, black chrome Coys wheels and 17-inch tires. I liked the looks of the 1960 grille and used that rather than the 1961 version. We debated long and hard on the color, and finally, at that urging of Mike, determined it would show better with black PPG paint with Vibrance clear coat. 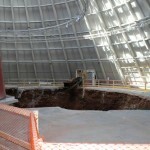 The entire build was completed in approximately 14 months. The ’Vette was the feature car at the Idaho State University “Chrome in the Dome” show in March of 2014. In July 2014, I trailed it to the “Cleveland Rocks” national Chevy show where it scored 997 points and received a Platinum certificate. 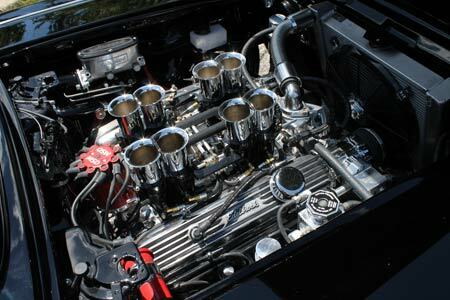 It also was awarded best engine in its class. I then trailered it to Reno, NV to the “Hot August Nights” show. What an interesting experience that was. It was well received and very admired. I have been to several shows this past summer and won several awards. A great deal of thanks goes to Mike & Toni Tolman of Premier Collision and John Pusey, Gary Humphries, Doug Larsen and Spencer Lilya (also from Premier) for all of their long hours and tender loving care to this project. This car is a joy to show. Discussing the restoration is a delight and a total process that I am proud to share.